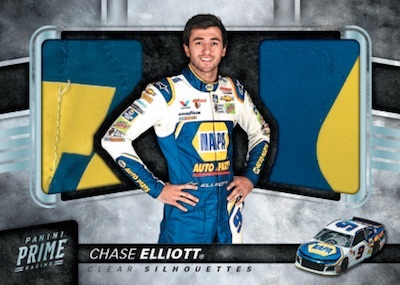 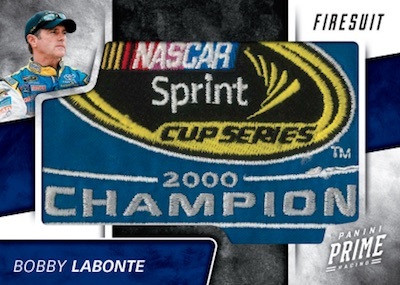 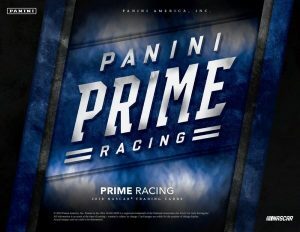 2018 Panini Prime Racing - NASCAR Card Checklist	Overall rating:	4	out of 5 based on 1	reviews. 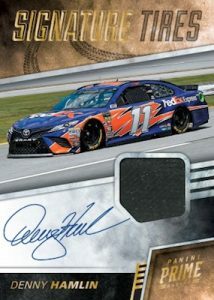 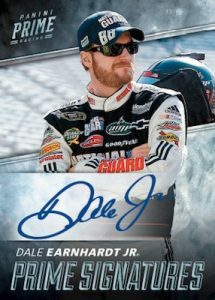 2018 Panini Prime Racing is a premium NASCAR release that focuses on autographs and memorabilia hits. 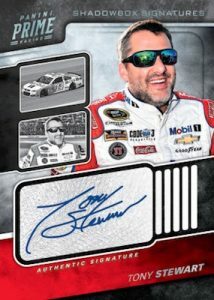 The product offers 3 autographs and 3 memorabilia cards per box, as well as 1 short printed base or base parallel card. 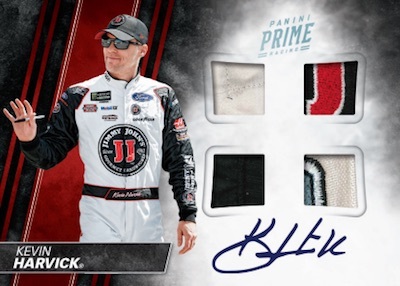 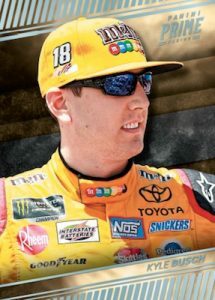 Unlike many NASCAR release, Prime manages to offer hard signed autographs for most of the autograph sets (there may be a few stickers), as well as an assortment of race used memorabilia. 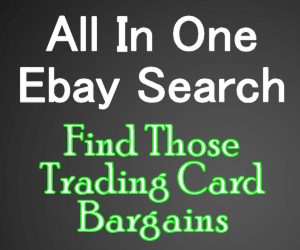 This is not an inexpensive product by any means, but those willing to take the chance could be well rewarded.